Family members who must place relatives in nursing homes have plenty of legitimate reasons to be concerned about whether their parents or loved ones are getting appropriate care. Recently, the New York Times wrote about one woman who wanted to use a video camera in her mother’s room when she suspected abuse. The bylaws of the nursing home prohibited this, claiming they violated the Health Insurance Portability and Accountability Act (HIPPA). However, this may not be entirely true. Preventing nursing home abuse is an important issue, and it’s important patients and family members understand their legal rights. 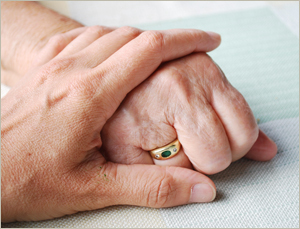 A Boston nursing home abuse lawyer should be consulted for assistance when nursing home abuse is suspected. Families visiting relatives and loved ones over the winter holidays should also watch for signs of potential abuse so they can take appropriate action. HIPPA guarantees patient privacy and is intended to provide protection to patients from having their personal health information used without their permission. However, many health care providers have begun using HIPAA as a standard excuse to avoid allowing sufficient access to loved ones and family members seeking to protect vulnerable elderly patients. If a family owns a video camera and its recordings, HIPAA should not prevent the use of the camera in a nursing home room in order to monitor whether abuse is occurring. Nursing home residents should be able to give permission to their families to monitor their care, especially in situations where there is cause for concern. In the example given by the Times, the nursing home patient was taken to the hospital because of unusual blood tests. She saw a police officer who happened to be in the emergency room at the time and began to describe being elbowed by a “mean” aide. Unfortunately, she did not know the name of the aide or when the assault occurred. Cameras could help to identify when things like this happen. The daughter of the potential nursing home abuse victim spoke with the attorney general of Illinois, the state where her mother lived, and expressed complaints about not being able to have a camera in the nursing home. The attorney general has evidently received many similar complaints from others with loved ones in care facilities and her office has begun drafting legislation to expressly allow family members and residents to put cameras in the 1,200-plus nursing homes in that state. Families would own and install the video cameras and administrators in the nursing home would not have access to the footage. The bill is expected to be introduced in January of 2015 and if passed would take effect in 2016. While it is not currently illegal put a camera in a nursing home room in Illinois, nursing homes routinely ban them. Four other states, including Texas, Oklahoma, Washington and New Mexico, have laws that explicitly permit cameras in nursing home facilities. Massachusetts does not have a specific law providing a guarantee cameras can be present. If more states allow relatives to put cameras in home facilities, perhaps instances of abuse and neglect would be curtailed.